Carmine “Charlie” Monaco of Chicopee, a retired machinist with 42 years service to Savage Arms of Chicopee and Westfield and a World War II veteran, died Thursday December, 22 at his daughter Karen’s home in Oak Bluffs, with his family by his side. He was 91. Born in Torino di Sangro, Italy, on September 30, 1920, he emigrated to the United States at age 13, after his father emigrated ten years prior. His father, Guiseppe, came to the U.S. in order to earn enough to move his family from Italy to America. Unfortunately, the Great Depression stalled the family’s emigration until 1933. Mr. Monaco became a lifelong resident of Chicopee after his arrival through Ellis Island and ultimately earned his U.S. citizenship. 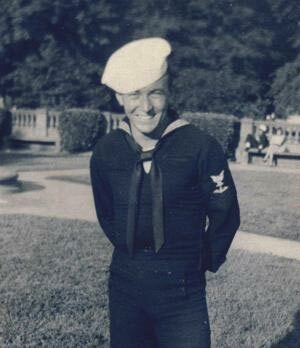 Mr. Monaco proudly served his new country in the U.S. Navy during WWII as an aviation ordinanceman on a Naval aircrew protecting the North and South American coastlines. In his native Italy, one of his first jobs at age 11 was a two-day mule trip from Torino di Sangro to Vasto to spend the week serving as a carpenter’s apprentice, a skill which served him well later in life. He worked tirelessly throughout his life to provide for his family and, above all, he provided them with strong character, work ethic, respect, and compassion for others. Mr. Monaco enjoyed cooking, gardening, shellfishing, going to the beach on the Vineyard and most of all, his family. He was the patriarch of the Monaco family and believed in the power of family more than anything else.Mr. Monaco was a communicant of St Mary’s Catholic Church in Willamansett. He will be remembered as a hard-working man who would do anything for his family. He needed to look at something only once and he could create a product of comparable or better quality on his own. He provided his family with a rich heritage and they count themselves fortunate to have had a true “Papa” in their lives. Predeceased by his wife, Irene Monaco, Mr. Monaco is survived by his brother, Alfred Monaco of Chicopee; his son, Gerry Monaco of Blackstone; two daughters, Nadine Monaco and Karen Lodge, both of Martha’s Vineyard; five grandsons, Conor Lodge, Tristan Lodge, and Devon Lodge, all of Oak Bluffs, as well as Mathew Monaco of Oak Island, N.C. and Gianni Monaco of Norton.